So this week we all spent the majority of our time building interesting puzzles that we could potentially use in the final version of the game. I had a hard time coming up with ideas for fun interactions at first but it wasn’t long before I had so many ideas bouncing around that I had to create different areas in my work space and scene dedicated to each. The idea that I stuck with was a “Target Practice” level. I really wanted to use our throw mechanic so I decided that it would be fun to try and “shoot” enemies as the characters are being moved along at a fast pace. It ended up having a few quirks but I think I found the fun factor in it. I also dedicated my time to optimizing a few of the scripts that I had worked on previously. I’ve been keeping an eye on the Unity profiler window throughout the weeks and I noticed a few problem spots that I knew would need to be taken care of before we put any real art in. I also created a new feature, character specific door runes, which allow us to force the player to split the characters up, therefore making the game more challenging and interesting. Fixed several larger bugs including the monkey’s facing direction and the female’s glide skill activation. Created a new feature: Rune Doors. These doors can only be opened when the specified character is within range and the other character is out of range. Created prefabs with actual art instead of blocks. Here are the controls: A game pad is recommended but keyboard controls do work if you don’t have one available. Left Stick Movement Moves the male character in the direction the player is pressing at walk speed. If the player holds the male’s interact button while moving the character will run. Left Bumper Jump The male character will jump vertically. Left Trigger Interact Activates several different actions depending on the male character’s current state. For example, dragging a crate or climbing a vine. Right Stick Movement Moves the female character in the direction the player is pressing at walk speed. If the player holds the female’s interact button while moving the character will run. Right Bumper Jump The female character will jump vertically. Right Trigger Interact Activates several different actions depending on the female character’s current state. For example, dragging a crate or climbing a vine. ESDF Movement Moves the male character in the direction the player is pressing at walk speed. If the player holds the male’s interact button while moving the character will run. W/R Jump The male character will jump vertically. A Interact Activates several different actions depending on the male character’s current state. For example, dragging a crate or climbing a vine. IJKL Movement Moves the female character in the direction the player is pressing at walk speed. If the player holds the female’s interact button while moving the character will run. U/O Jump The female character will jump vertically. ; Interact Activates several different actions depending on the female character’s current state. For example, dragging a crate or climbing a vine. Character is idle and player presses Left Stick Up + Left Trigger Sprint While the male character is in the idle state, the player can hold up and then press the interact key to sprint with dominant force, this is different from running as it allows the male to move even faster and will also allow him to smash objects that are cracked. This skill costs 30 energy. Character is in idle and player presses Left Stick Down + Left Trigger Spectral Clone While the male is in the idle state the player may hold down, then press the Left Interact key to create a non-controllable clone of himself. The clone can be pushed or dragged to activate switches. Both players can manipulate this clone. This skill costs 30 energy. Character is in air and presses Left Stick Down + Interact Heavy Slam While the male is in the air the player may hold down on the left control and press the left interact key to perform a Heavy Slam. The male will come down with enormous force and destroy any cracked objects he hits. This skill costs 30 energy. Character is idle and player presses E + A Sprint While the male character is in the idle state, the player presses the interact key to sprint with dominant force, this is different from running as it allows the male to move even faster and will also allow him to smash objects that are cracked. This skill costs 15 energy a second. Character is idle and player presses D + A Spectral Clone While the male is in the idle state the player may hold up, then press the Left Interact key to create a non-controllable clone of himself. The clone can be pushed or dragged to activate switches. Both players can manipulate this clone. This skill costs 30 energy. Character is in Air and player presses D + A Heavy Slam While the male is in the air the player may hold up on the left control and press the left interact key to perform a Heavy Slam. The male will come down at an angle with enormous force and destroy any cracked objects he hits. This skill costs 25 energy. Character is in air and player holds Right Trigger. Glide While the female is in the air, she may hold the interact key to glide. She will glide down softly which prevents fall damage and allows her to reach difficult to get to areas. This skill costs 15 energy / second. Character is idle and player presses Right Stick Up + Right Trigger Magnetic Attraction While in an idle state the player may hold the right control up and presses the right interact key. While holding this combination, objects within 15 units that are marked with a magenta crystal will gravitate toward the player. This is useful for moving objects out of reach and to flip levers from afar. This skill costs 15 energy a second. Character is idle and player presses Right Stick Down + Right Trigger Animal Whisper While the female is in the idle state the player may hold down on the right control and press the right interact key to begin the Animal Whisper ability. The closest Monkey on screen will be controlled by the player. While in control the player loses control of the female and her controls now manipulate the monkey. 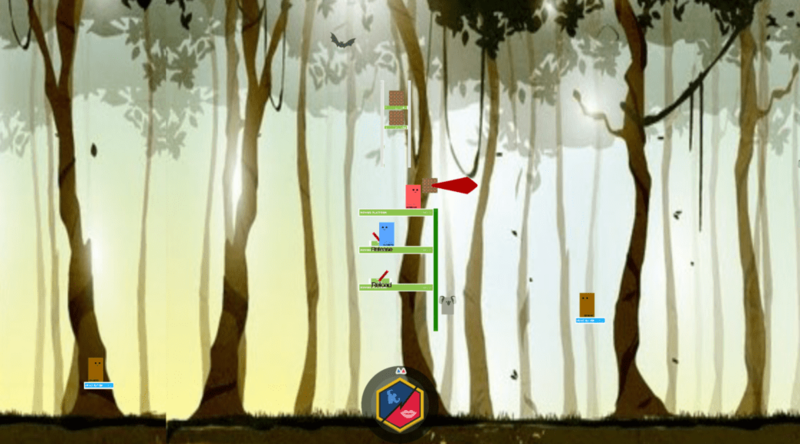 The monkey can jump further distances and enables the player to reach switches or other elements of the puzzle that are out of reach of the characters. This skill costs 50 energy. The energy meter for this skill starts at 50 is drained over time (0.83/second) and when the energy reaches 0 the female loses control of the monkey. 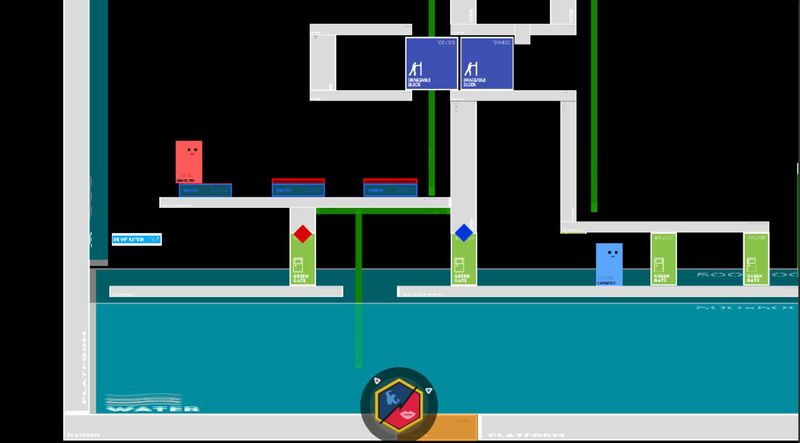 Character is in air and player holds ; Glide While the female is grabbing a climbable/hangable object the player may press and hold the right jump key to glide away from the object. She will glide down softly which prevents fall damage and allows her to reach difficult to get to areas. This skill costs 30 energy. Character is idle and player presses I + ; Magnetic Attraction While in an idle state the player may hold the right control up and presses the right interact key. While holding this combination, objects within 15 units that are marked with a magenta crystal will gravitate toward the player. This is useful for moving objects out of reach and to flip levers from afar. This skill costs 15 energy a second. Character is idle and and player presses K + ; Animal Whisper While the female is in the idle state the player may hold down on the right control and press the right interact key to begin the Animal Whisper ability. The closest Monkey on screen will be controlled by the player. While in control the player loses control of the female and her controls now manipulate the monkey. The monkey can jump further distances and enables the player to reach switches or other elements of the puzzle that are out of reach of the characters. This skill costs 50 energy. The energy meter for this skill starts at 50 is drained over time (0.83/second) and when the energy reaches 0 the female loses control of the monkey.